The Dharma Primary is a small community school and nursery, with skilled and committed staff, in which children excel in a safe, secure and nurturing environment. We provide a sound quality academic education informed by the National Curriculum, but with the flexibility and creativity to respond to the children’s needs, talents and interests. 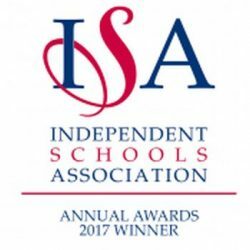 Children develop confidence, motivation and a love of learning enabling them to do well academically and to make a successful transition to local independent and state secondary schools. 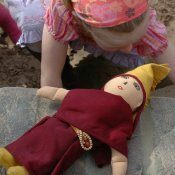 Through our Buddhist based ethos and daily meditation and mindfulness practice, we encourage children to cultivate focus, self-reflection, wisdom and compassion. Buddhism is not taught as a ‘faith’, but as a set of principles and tools for living a productive and fulfilling life. To guide pupils to develop mindfulness, love and understanding, and apply them in their daily lives. To provide a good academic education which enables children to develop positive learning dispositions, and be challenged in ways that accord with their needs and potential. To promote self-esteem by teaching emotional literacy and problem-solving skills, enabling children to reflect and learn from all their experiences and transform conflict. To constantly strive to create a nurturing environment in which positive, respectful relationships are developed among and between all tiers of the school: children, staff, parent community and trustees. To give children positive experiences of Nature and the outdoors, inspiring curiosity, wonder and respect for the environment. Children are introduced to the benefit of stillness through regular meditation practice enabling them to develop a reflective understanding of themselves, their life and the world around them. In a way appropriate to young children, we discuss and incorporate key Buddhist teachings and enable children to understand such concepts as cause and effect, the virtues of cooperation and the nature and pervasiveness of change.